Frank Foust would like to bring peace, joy, comfort, and the strength of his faith to the whole world. He uses his woodworking skills to get the job done, one little bird at a time. Since 1982, Frank has carved more than 1,100 wooden birds. “I call them comfort birds because they’re so smooth and soft, and they fit just right in your hand so that it’s comforting just to hold them and rub them,” Frank explained. 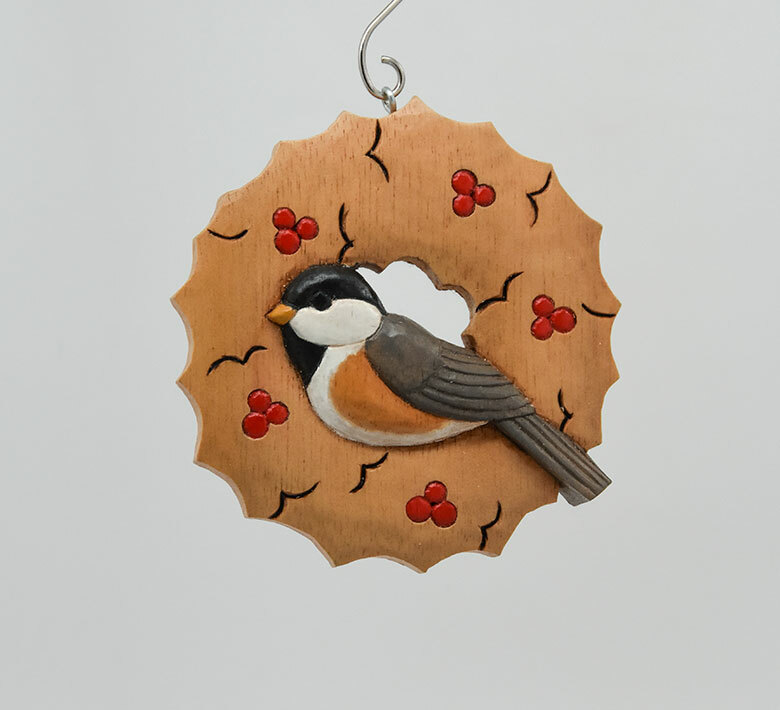 According to the woodworker, these small birds have a two-fold mission: to raise money for those in need and to provide enjoyment. To that end, the birds have flown all across America and even to Russia and Korea. Comfort birds are often given to those in need, such as the ill, blind, homeless, or elderly, or people in disaster areas such as the Hurricane Katrina flood zone, as a token of support and an act of kindness. When gently rubbed, the birds can bring comfort to those struggling with both physical and emotional pain. For many, the small birds serve as tangible reminders that someone loves and cares about them. Frank and his wife, Millie, who are members of the White Hall Baptist Church near Danville, Pa., have dozens of stories of the ways their birds have given hope and comfort. In 2001, Millie gave a comfort bird to one of her doctors. On a recent visit she asked if he still had the bird. He confirmed that he did. “Then he went on to tell me that his wife died not long ago of cancer. He said that before she died she would rub the bird all day long for comfort. Now it sits on his television set as a reminder,” said Millie. 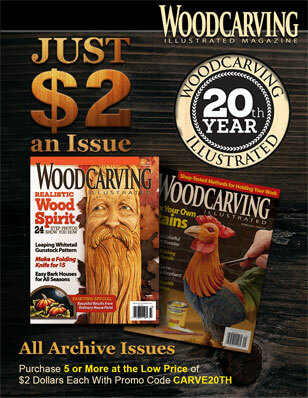 Frank started woodworking as a hobby in 1980. After taking a couple of classes at a nearby college, he began creating Santa figures and beautifully detailed birds of all kinds. After suffering an illness, however, Frank could no longer create detailed carvings. He found another outlet for his creativity. “A member of the carving club was making very small painted birds for Christmas tree ornaments. The birds were simple and easy to do. I saw them and got the idea for the comfort birds,” said Frank. Frank plans to make the little birds as long as he’s able, and he has plenty of birds ready to sell to those who would like to share a token of love and concern. 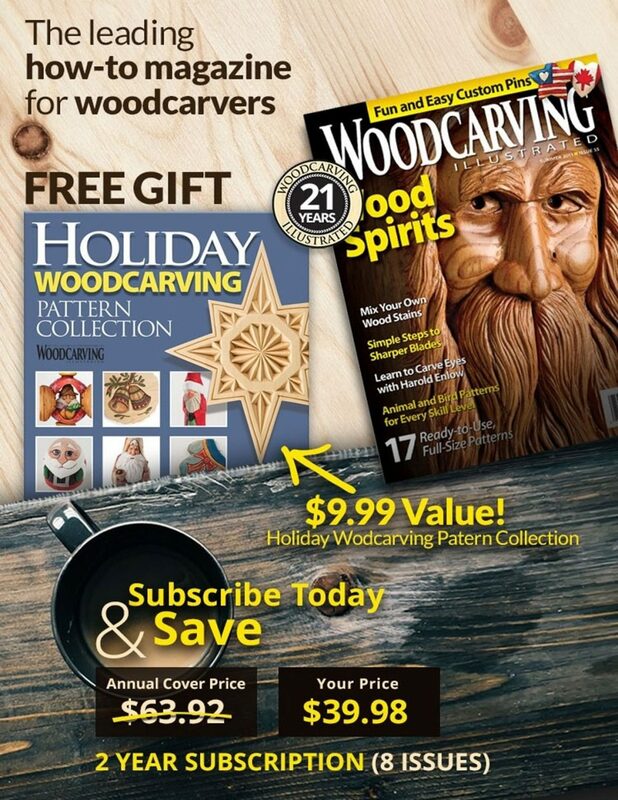 For carvers who prefer to make their own comfort birds, Frank shares his pattern below. Click here to download the comfort bird pattern.